Joining Maximilian and Gootecks in their Street Fighter III: 3rd Strike takeover is Benny. Watch part four inside. 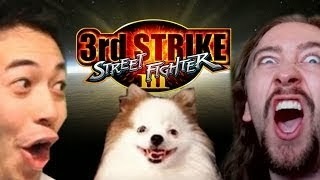 Part four in the Street Fighter III: 3rd Strike series, "Max and Gootecks vs. The World" has surfaced from Maximilian. Benny gives the two fighting game community stalwarts an assist. If you missed the first three parts, click here and here.